Chief Warrant Officer Thomas Gelwicks retired from the Coast Guard Reserve on November 1st 2012. To some, this may have been just another shipmate ending 29 years of dedicated Coast Guard service, but to the Cadets in the AUP Unit at The Citadel, it was more. Mr. Gelwicks was one of the early architects of the Citadel’s Auxiliary University Program. 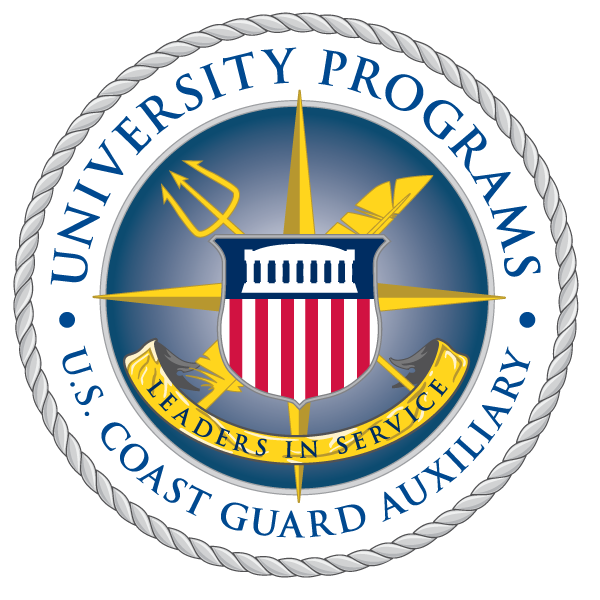 Before that, the Citadel had a Coast Guard Unit Club on campus in which cadets joined the Auxiliary and tried to get involved with the Coast Guard as much as possible. This was first created by the help of Mr. Gelwicks and the leadership of Flotilla Charleston, SC. For years, Mr. Gelwicks was the only person on the Citadel campus that wore the Coast Guard uniform. This visibility was crucial as cadets interested in the Coast Guard have many times sought him out to ask about joining the Coast Guard, then to be led to the AUP Unit. Mr. Gelwicks worked with Citadel cadets at the annual leadership Ethics Form at the Coast Guard Academy. This event was always beneficial, offering cadets time to meet other Coast Guardsmen, see how they train, swap “Knob” and “Swab” stories, compare schools, and meet and see what officers do. The most recent trip in 2012 included a tour of Coast Guard Officer Candidate School (OCS) and a personal look at the life of the Officer Candidates training there. Mr. Gelwicks’s retirement was meaningful for the cadets that attended, getting the chance to see a dedicated Boatswain and mentor to so many go through the beautiful ceremony he well deserved. Though he has left the Coast Guard, the AUP Unit at The Citadel is still glad to have him available on campus, looking forward to more “sea stories” and advice from now a Chief Warrant Officer 4 Gelwicks, United States Coast Guard Reserve, Retired. Pictured Right: U.S. Coast Guard cake for CWO Gelwicks retirement ceremony.